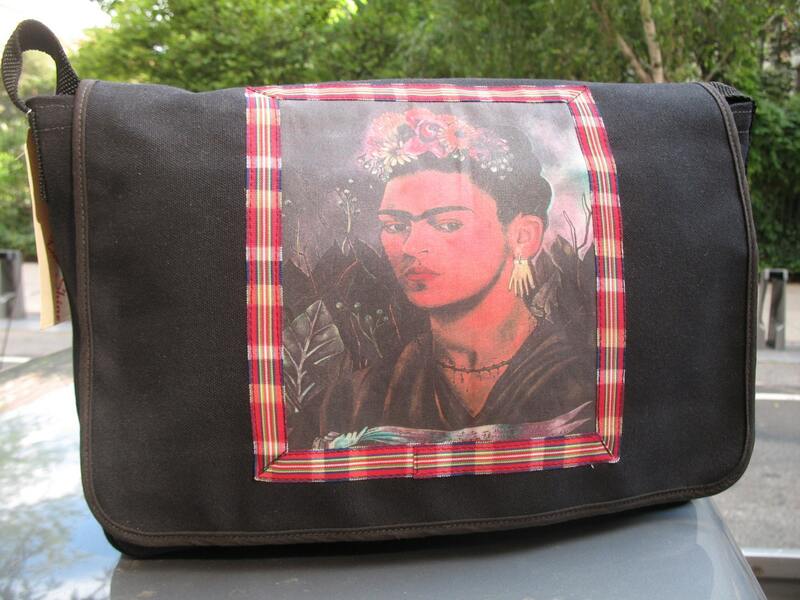 Our canvas courier bag, with a ribbon trimmed image of Frida Kahlo, will make any messenger look like a model. Large enough to carry books and most laptops, our courier bag is made from heavy duty cotton duck canvas and has a velcro closure and one interior pocket and one large pocket under the flap. The 1.5" polypro webbing strap is adjustable so you can carry it over your shoulder or wear it across your body.